Is it time to bring a fresh and modern presentation to your personal or business project? Use premade website templates for the purpose. By means of ready-to-go web designs, you can focus on the development of unique, useful and engaging content for your web resource instead of having to worry about design and coding tasks. 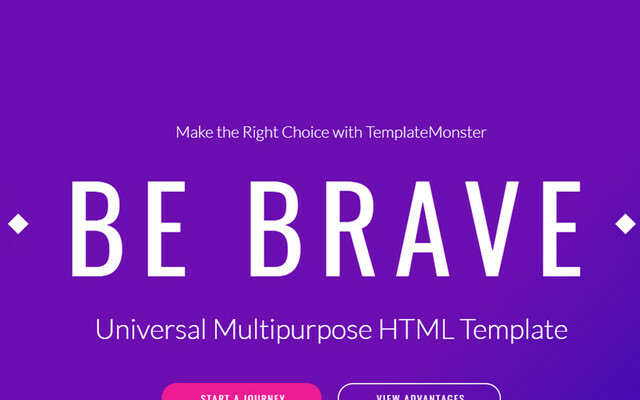 In the showcase of themes that are provided below, you can find imhttps://www.templatemonster.com/bootstrap-website-templates/pressive ready-to-go web solutions that are intended to be applied for a variety of micro niches. For example, real estate website templates will be especially useful for the launch of real estate, construction, and architecture sites. Most of the themes are enhanced with extra layout options collections of inner pages. This saves you plenty of time and energy on the development of custom designs for your future sites. Although some of the web themes from the following showcase can be absolutely new to you, all of them are worthy of your attention. Every theme features a unique design and a handful of usable customization options that will help you get started with your versatile web resource. Do not invest extra cash into additional web services. Download ready-made web themes and benefit from their all-inclusive toolkits. 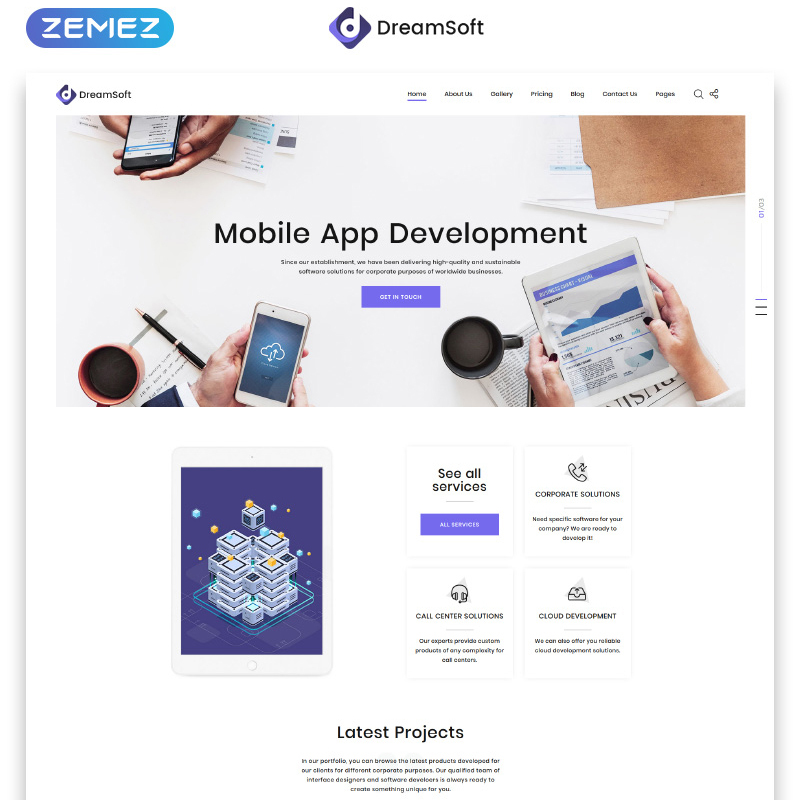 DreamSo is a usable and multi-functional website template that guarantees that all pieces of your site's content will be perfectly displayed on all screen sizes. 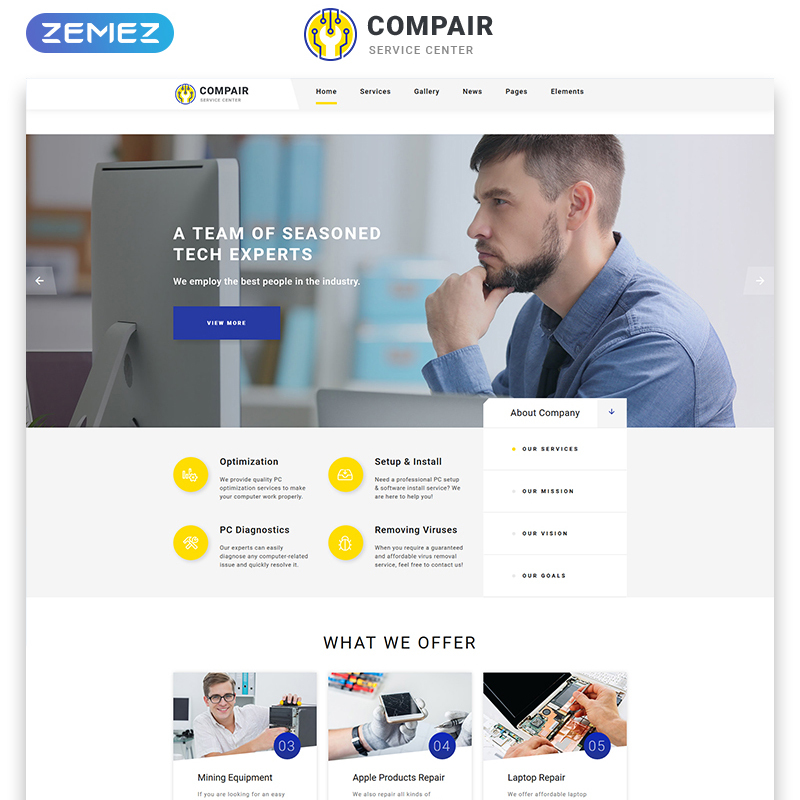 A fully editable theme's structure makes it the ultimate choice for software and IT company sites. It is built with valid, semantic code and latest SEO demands in mind. In addition to 30 ready-made HTML5 pages, you will be able to use impressive CSS3 animations, galleries, and sliders that can enhance your site's content presentation. The theme will be the ideal choice for websites representing lawyer and attorney services. It features a clean and professional style that adds a credible and reliable presentation to your venture. 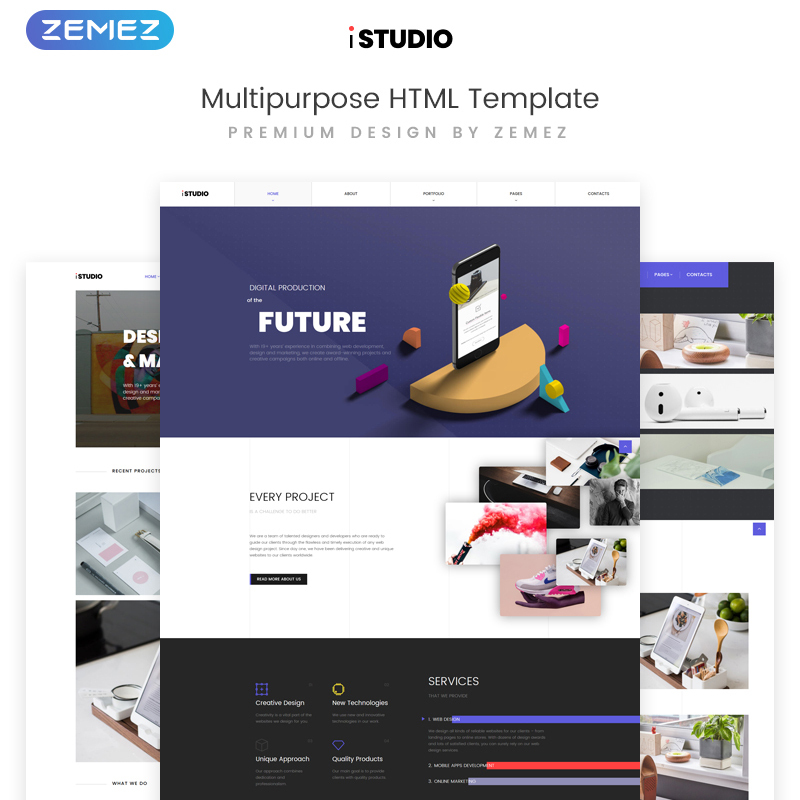 Downloading this web theme, you can work with 6 niche templates, 200+ premade HTML5 pages, 150+ PSD files, and an impressive UI kit. 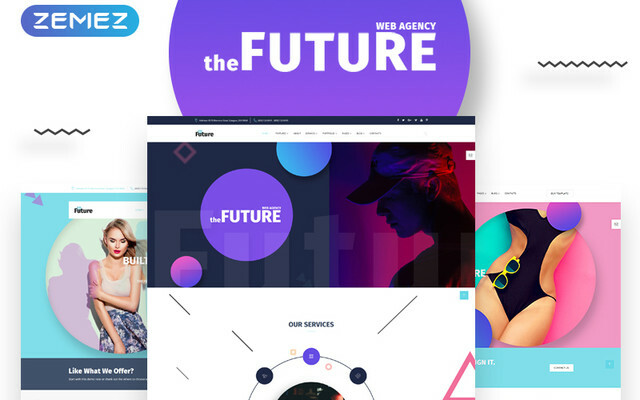 The theme delivers limitless customization possibilities and free lifetime updates, which guarantees that your web project will be powered by the latest and most innovative features. 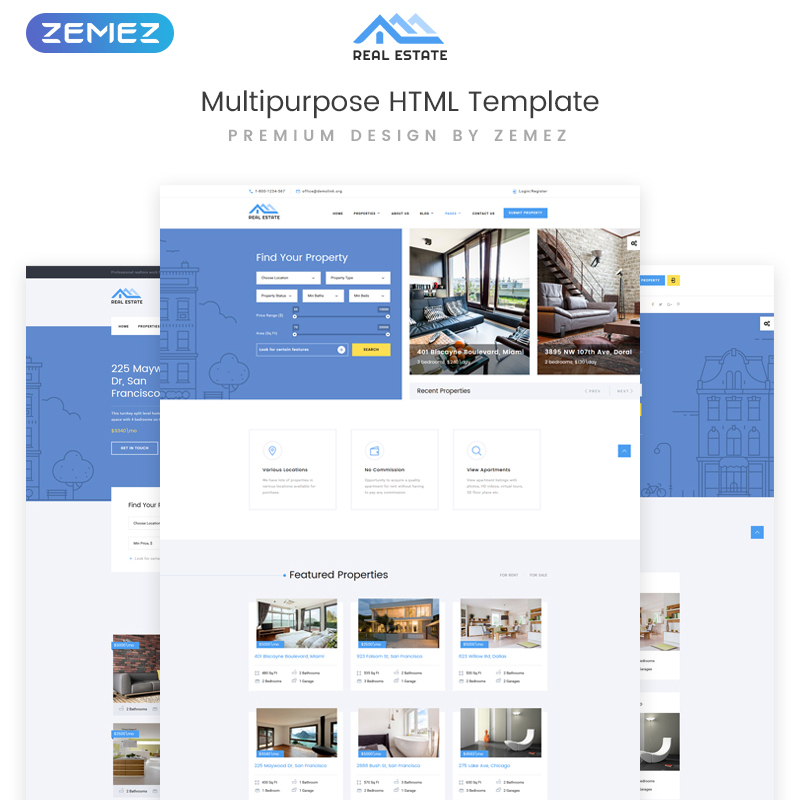 Architecture, construction, and real estate projects will have a remarkable presentation if you build them using this responsive web theme. 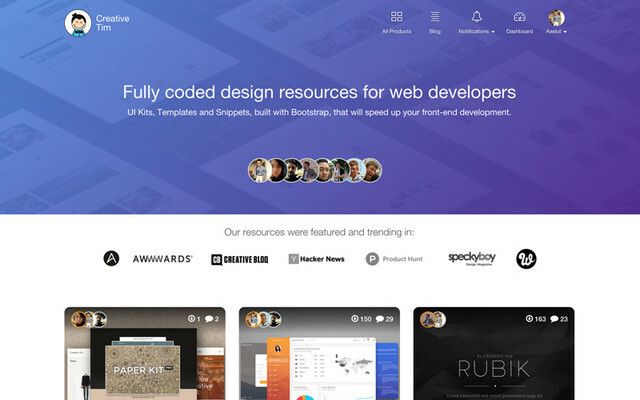 R&CO features a clean flat style that can help you manage content-rich web projects easily. 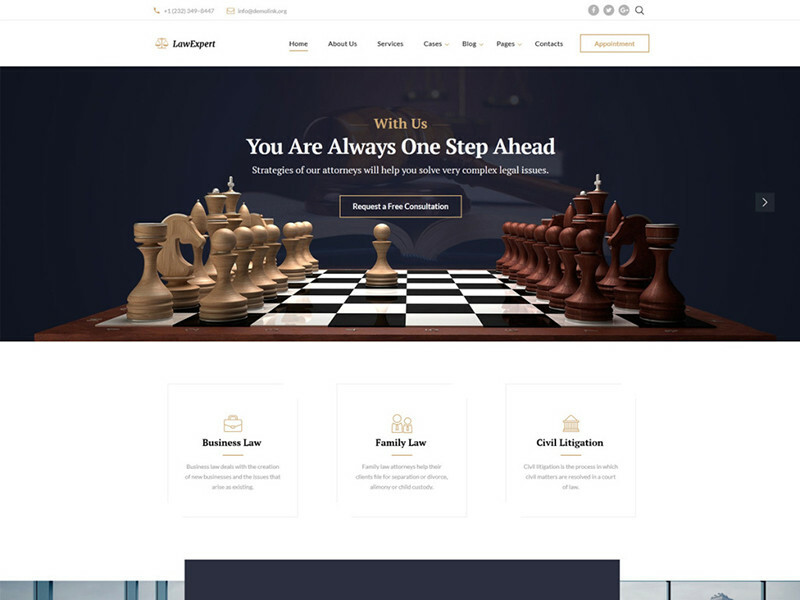 A fully editable theme's layout structure comes enhanced with a bunch of premade inner pages that can be adjusted to match any specific purpose or criterion. It also delivers a bunch of features to showcase your projects beautifully. 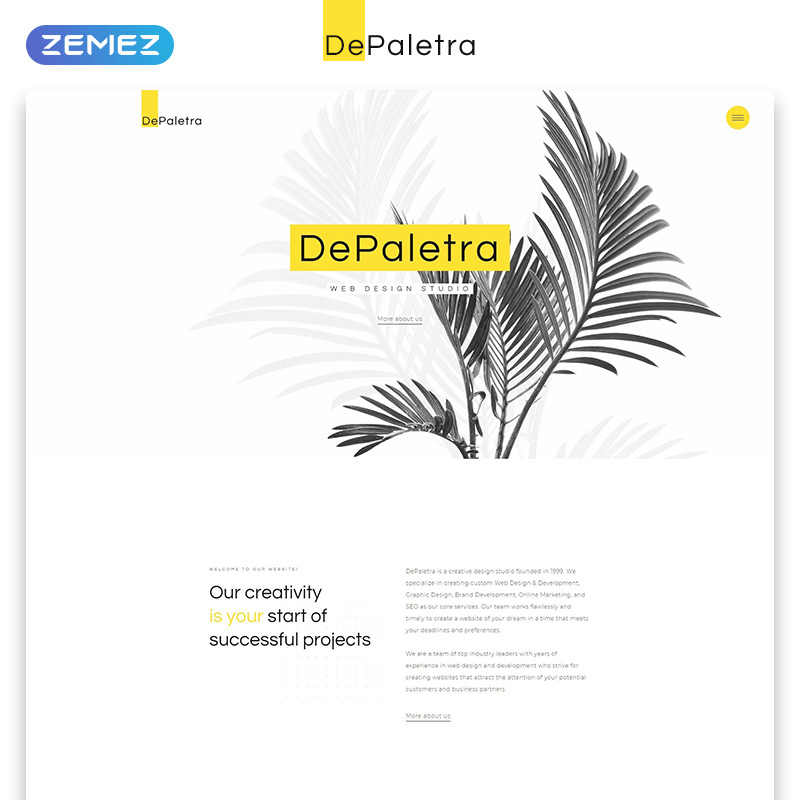 Here is one more stunning web theme that will be the perfect choice for an impressive online portfolio project. 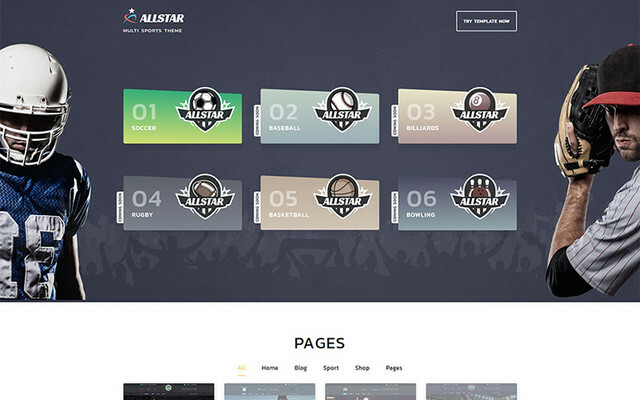 A clean and simple layout of the theme is intended to bring the main emphasis on the creative showcase of your projects. A responsive layout of the theme is enhanced with a rich UI kit, a bunch of cool inner pages, and working forms. 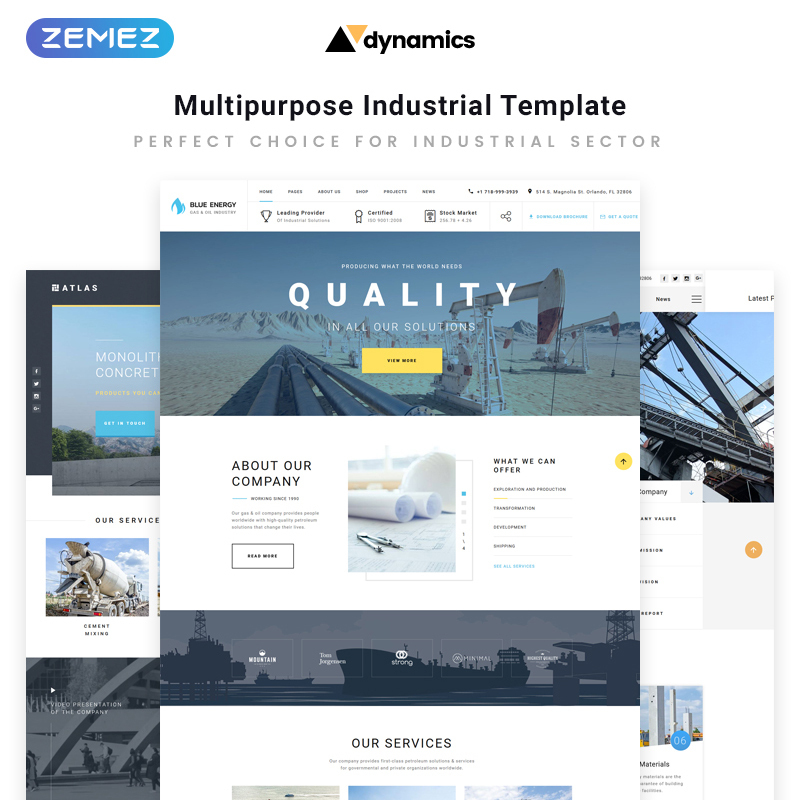 Dynamics HTML5 Template is well suited to be used for online projects that are related to the industrial sector. The clean and clear layout style of the web theme is intended to keep the attention of your site visitors always focused on the essential pieces of data. A 100% responsive layout of the theme guarantees that all elements of your web page will be properly displayed on both small and large-sized displays. Additionally, you are given the possibility to choose from 7 ready-made homepage layouts that are ready to be personalized according to your specific needs. There are 4 premade homepage layouts included in the theme. More useful options are expected to be delivered with the consecutive updates of the theme. It will perfectly match the construction and architecture websites. However, the fully editable theme structure can be adjusted to meet any different goal. The layout is simple and usable. There is a fixed drop-down menu that provides your visitors to any necessary piece of content with a single click. There is also an advanced search form making it impressively convenient to come across the needed data. 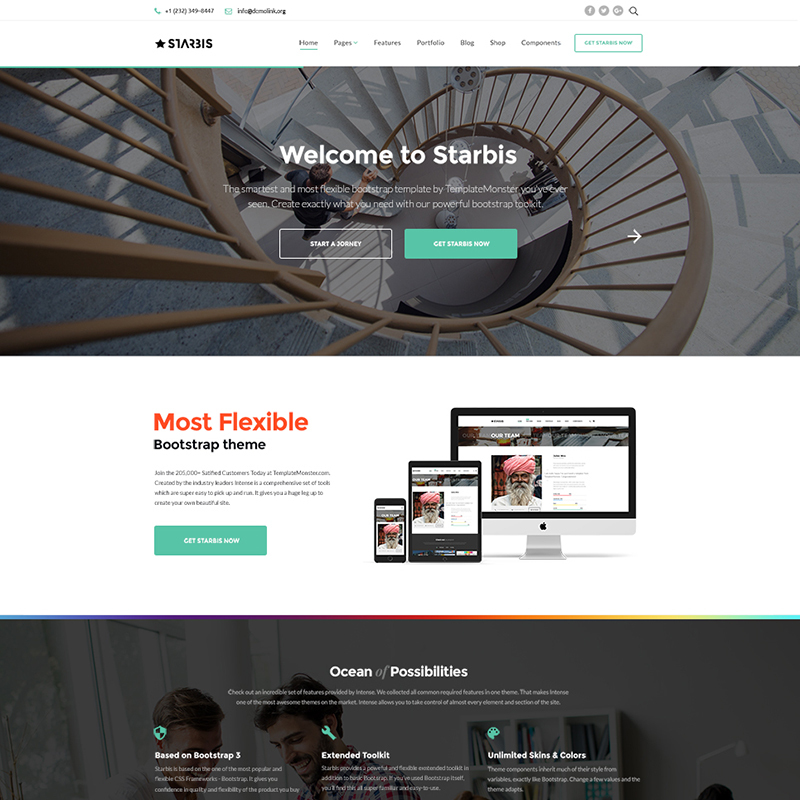 Starbis is a multi-purpose HTML5 theme intended to be used for a variety of business and corporate purposes. 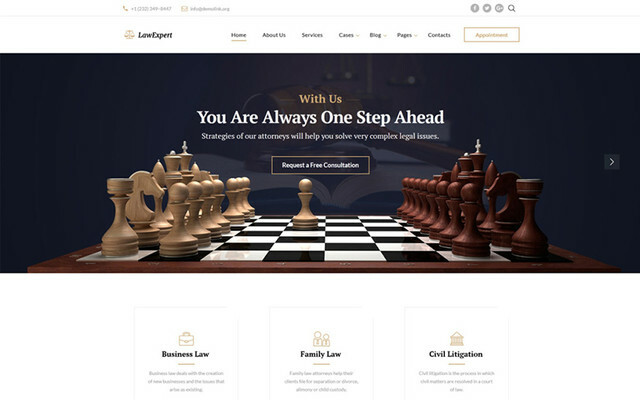 It delivers one of the most impressive collections of responsive HTML files that can be optimized for lawyer, finance, insurance, tax advisor, and other purposes. A responsive and Retina-ready layout of the theme features a handful of widgets and content modules that allow you to present different pieces of your site's data in a personalized style. 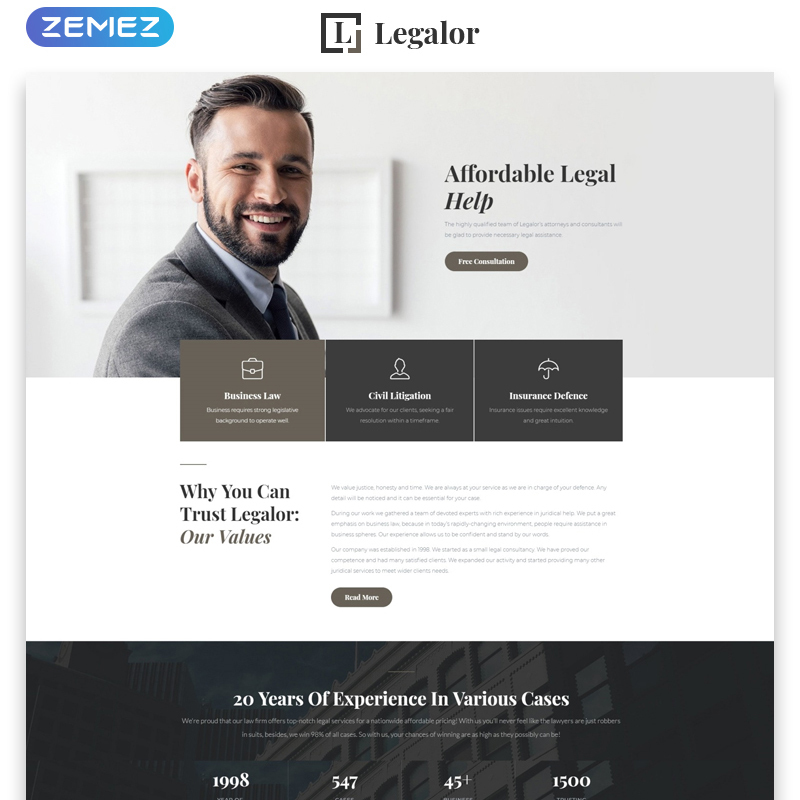 If you are looking for a premade theme to update a lawyer or attorney website with a classic style, then Legalor web theme is your best choice. The design looks sleek and professional. The layout doesn't include any elements that could distract the users' attention. The theme is optimized to make all data look stunning on a range of screen sizes. A well-balanced structure of the theme's pages and simple navigation patterns boost its usability to a great degree. 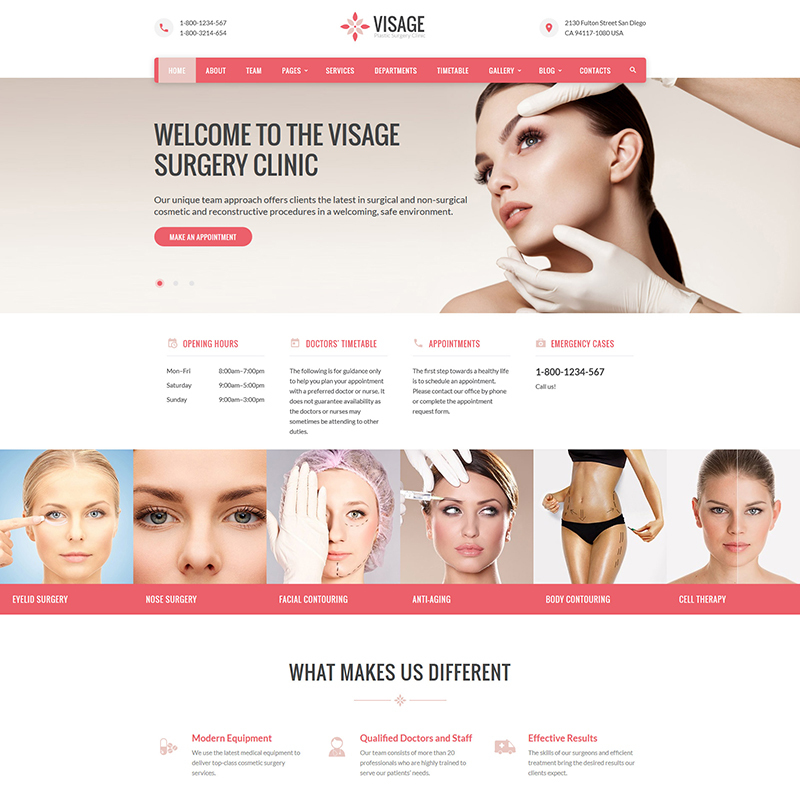 Visage is a ready-to-go web solution for plastic surgery sites. However, you can optimize it to match any other medical or healthcare project. 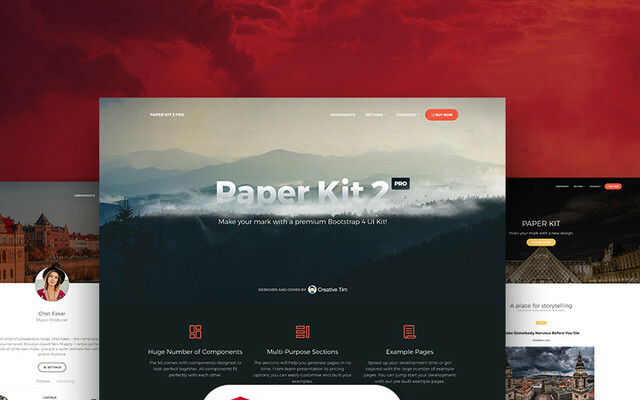 This is a multipurpose web theme delivering a rich kit of UI elements. It also delivers over 45 ready-made HTML5 inner pages that you can adjust to match your corporate requirements or personal expectations. In order to make it easier for your clients to schedule their future visits, the theme comes loaded with Appointment Manager plugin. 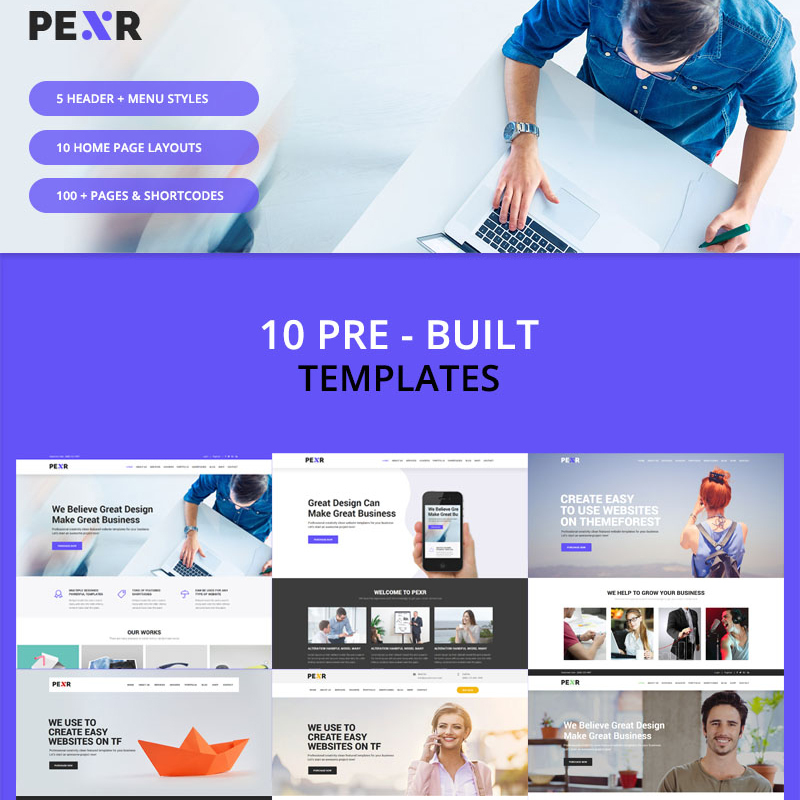 Pexr is a truly multipurpose website template that can match a variety of projects starting from startups to large corporate sites. 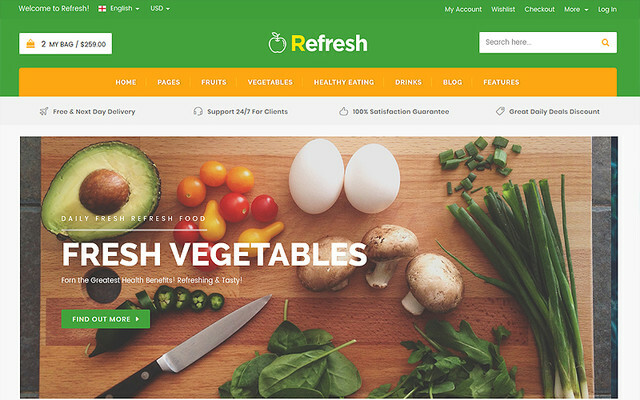 A fully editable layout of the theme is enhanced with 10 premade homepage layouts, 5 header and menu styles, 100+ pages and shortcodes, and a bunch of other customization options that will come in handy during the theme's modification. 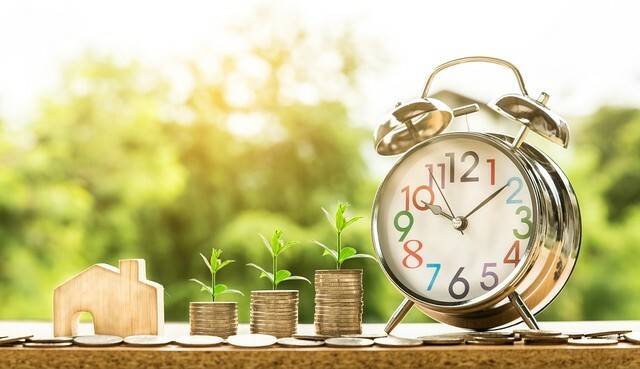 If you are looking for a functional web theme for a financial or accounting web project, then FinPRO ready-to-use HTML5 theme will just come in handy to you. It doesn't require any special design or coding skills in order to be modified. The theme is based on Novi intuitive visual content editor, which allows you to modify the theme's layout in the drag-and-drop mode. 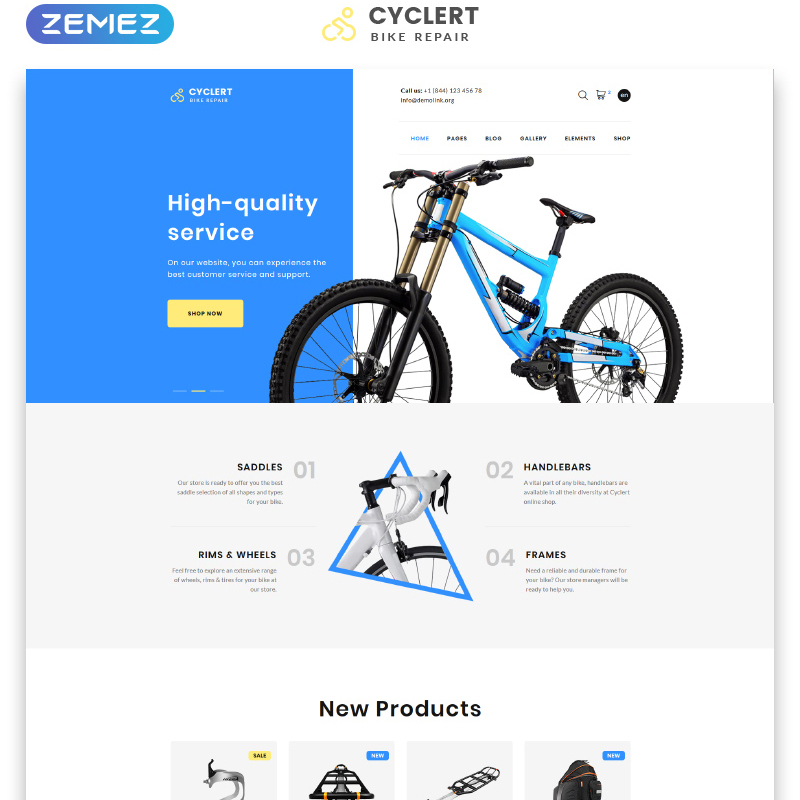 By means of this multipage HTML theme, you can create a clean and well-balanced site for cycling, bikes, and cars related online project. There are over 30 ready-made HTML5 pages suited for a range of purposes. It's built with valid, semantic code and comes loaded with cool CSS3 animation effects and transitions. There are eCommerce page templates intended to let you launch a usable web store out-of-the-box. The theme features an elegant and stylish layout that is apt for the launch of beauty and fashion sites. 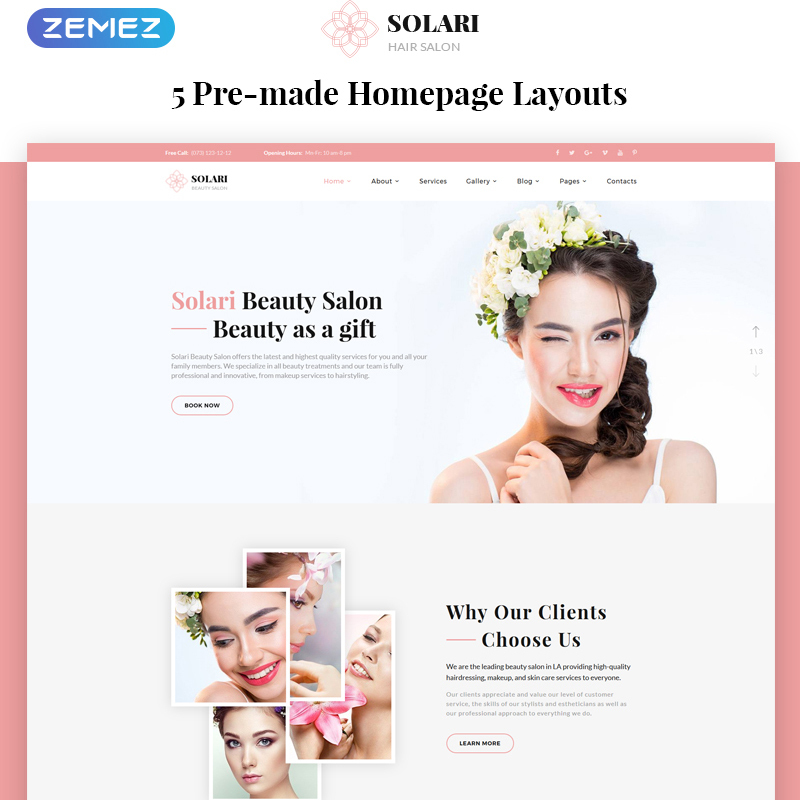 It includes 5 premade homepage layouts that are suited to be used for beauty salon, hair salon, massage salon, nails salon, tattoo salon or any other kind of fashion-related project. A fully responsive layout of the theme is intended to look stunning on all devices and screen sizes. The real estate website template includes 3 ready-to-go homepage layouts that are apt for property-related ventures. A fully editable layout of the theme includes a huge set of UI elements, fonts, and color options. In order to make sure that your web page runs flawlessly on all screen sizes, the theme features a 100% responsive and cross-browser compatible layout. The theme is intended to become a solid foundation for farming and agriculture projects. 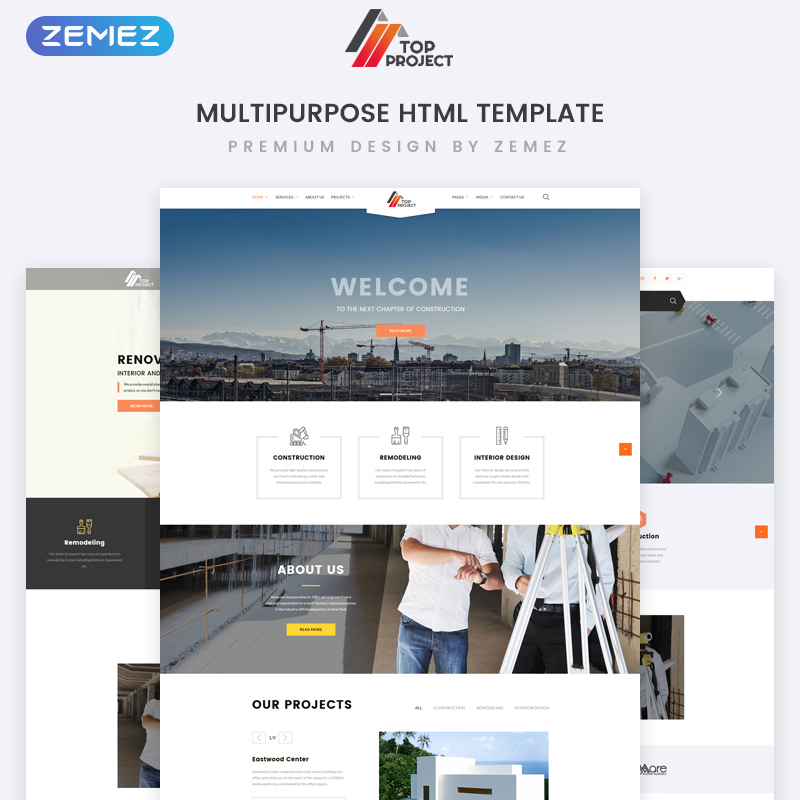 This is a premium-quality multipurpose web theme that is intended to let you bring a personalized presentation to your business or corporate site. A variety of working forms are included to provide your customers with a choice of ways to reach you out for a consultation. 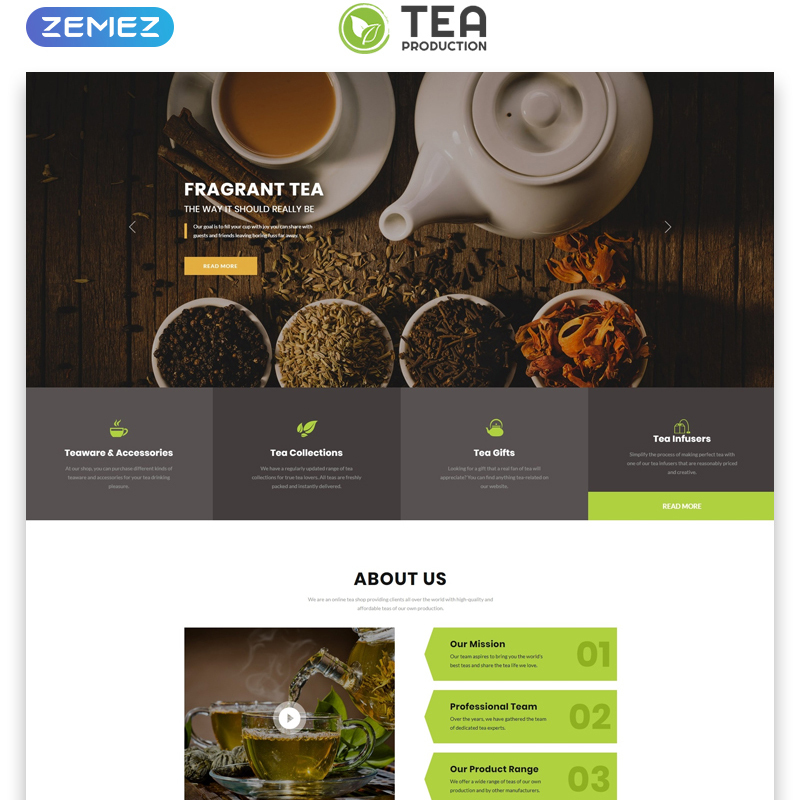 In order to make it easier to add eCommerce functionality to your web resource, the theme contains a selection of eCommerce page templates. 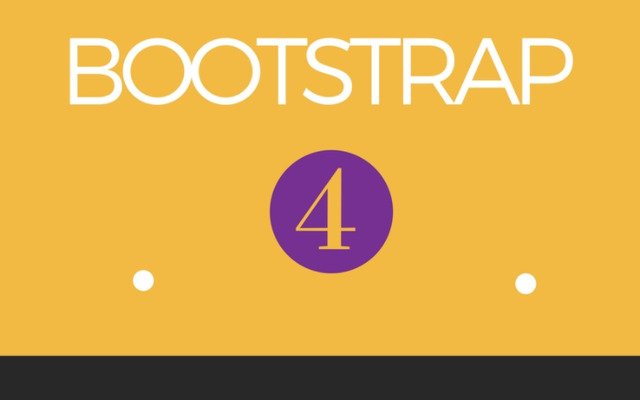 A classic style of ConsultBiz web theme is based on Bootstrap 4 framework. It's well suited to be used for financial and consulting projects. A fully editable layout of the theme can be adjusted to fit any different business niche. 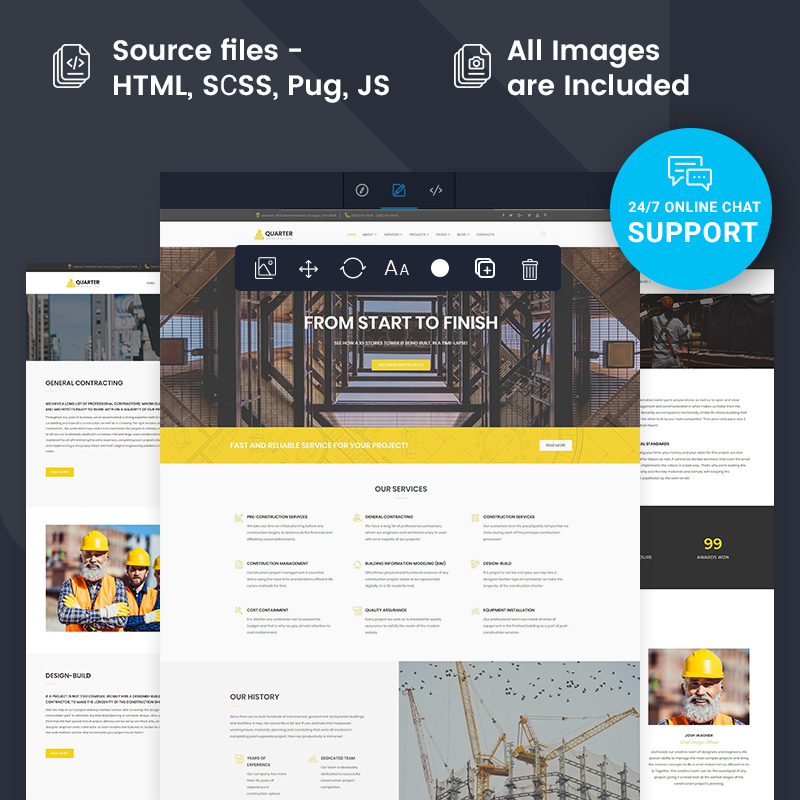 With this theme, you get tons of high-quality images that can be used on your own web resource when it's launched online. 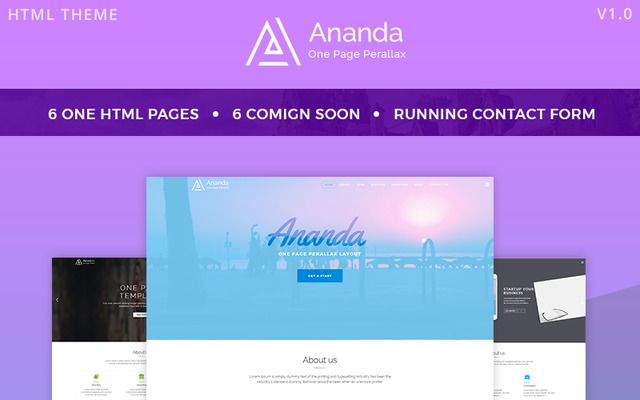 Give your customers a true sense of immersion by means of material parallax that's featured in this responsive HTML5 theme. Thanks to the mobile-first paradigm of the theme, you can create content-focused websites with attention to details. The theme is SEO-friendly, which enables you to increase your site's visibility in popular search engines. 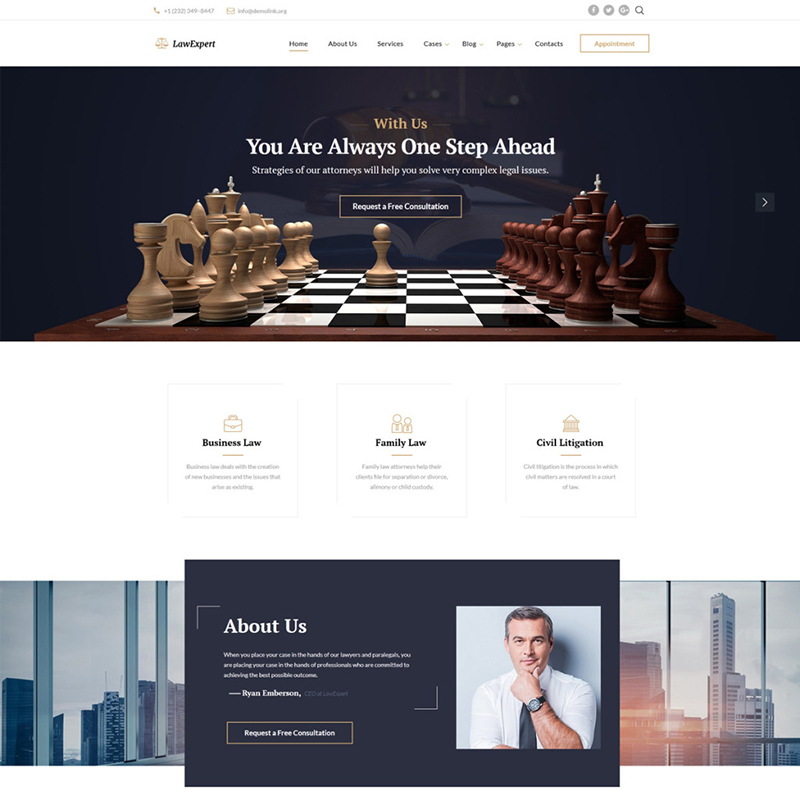 If you are looking for a developer-friendly web theme that will help you create a construction or real estate company website, then Quarter HTML5 theme can be your best choice. It's integrated with Novi page builder, which lets you personalize the theme's layouts in the drag-and-drop mode. It contains a set of premade inner pages for a range of purposes, including About, Blog, Team, Services, Projects, etc. 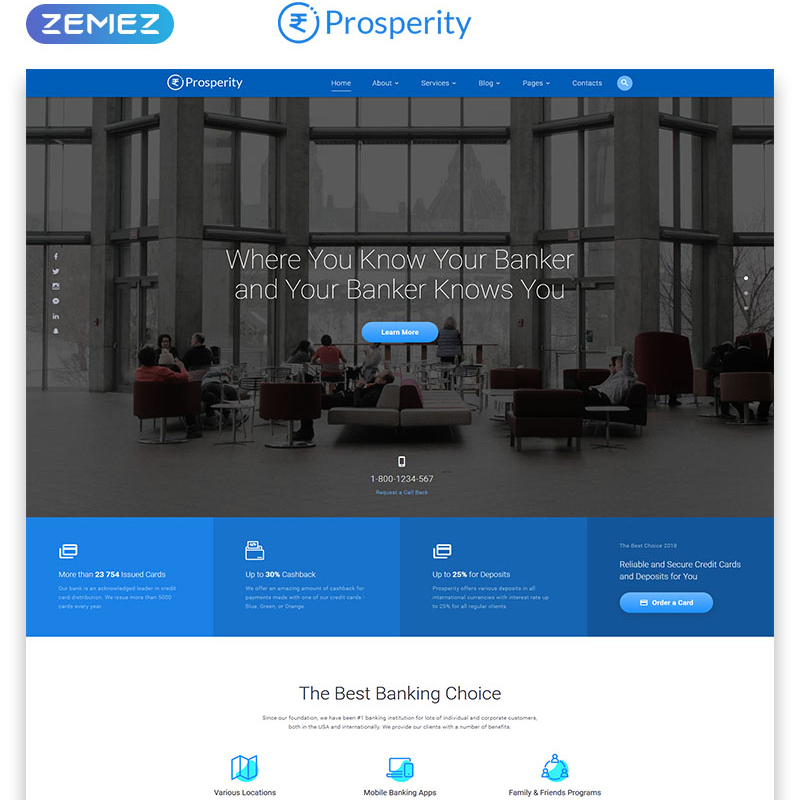 Build a reliable and professionally-looking website for your banking and financial web project. 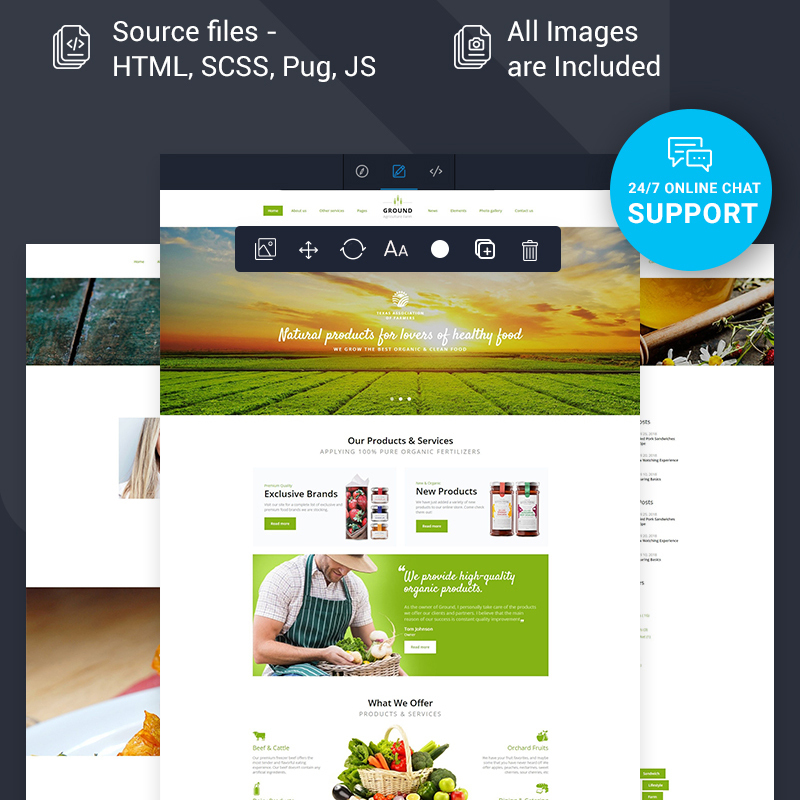 There is a rich collection of interface styles included in the theme's download pack. You can personalize all ready-made layouts without any special coding skills. You banking website will look stunning on all screen sizes owing to the fully responsive layout of the theme. 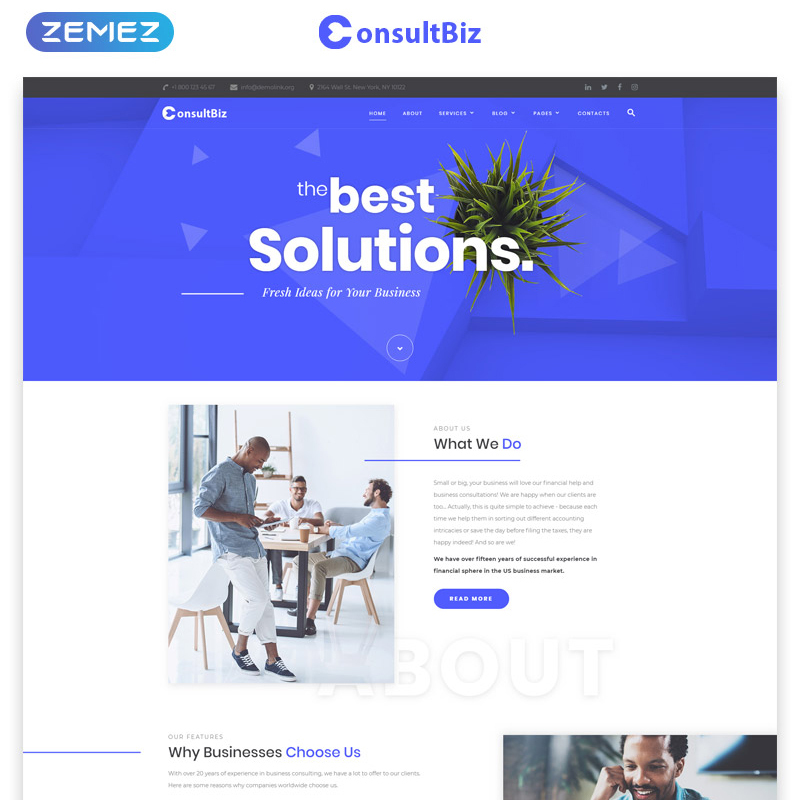 Using this elegant web theme, you can create a professional and solid web presentation of your consulting company project. Clean design of the theme keeps the users' focus of attention on the essential pieces of data the's revealed on your web page. By the way, the theme delivers a collection of pre-designed inner pages that you can customize as per your specific needs. The theme is well suited to be used for the launch of product-rich tea or coffee shops. 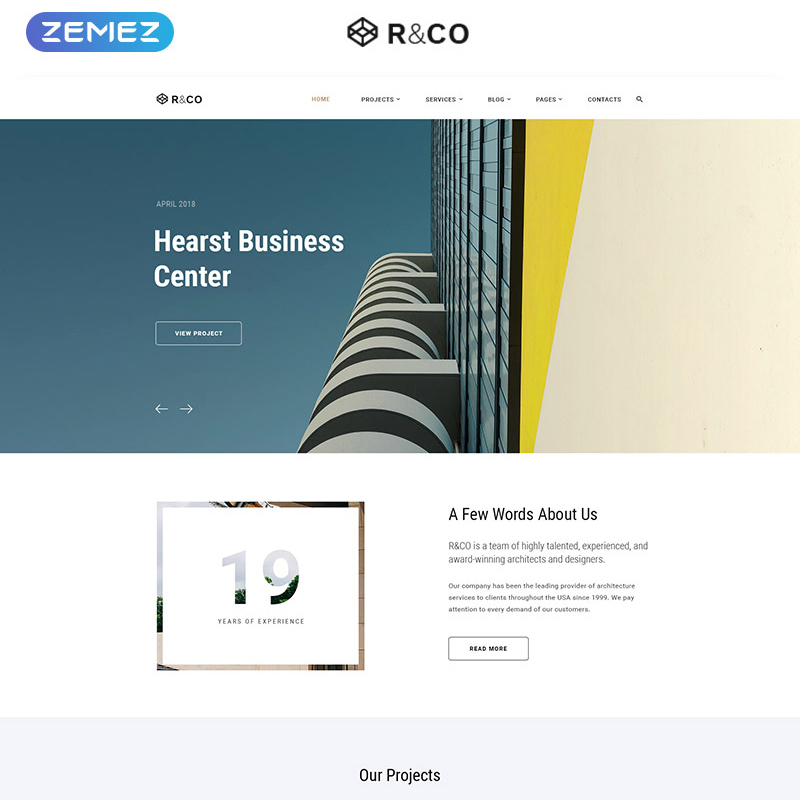 A multi-functional layout of the theme is enhanced with over 25 ready-to-to pages that you can use for media, careers, product catalog, and other purposes. The theme is SEO-friendly, well-commented, and properly documented. You can also make use of a set of working forms to establish a better connection with your audience. Immovables is a responsive website template that's intended to be used for real estate, furniture, and design sites. It's integrated with Novi visual content editor, which lets you apply any kind of changes to the theme's layout in the intuitive drag-and-drop mode. The theme's pages are built with the focus on high-quality Retina-ready images that provide for a more impressive showcase of your offers. 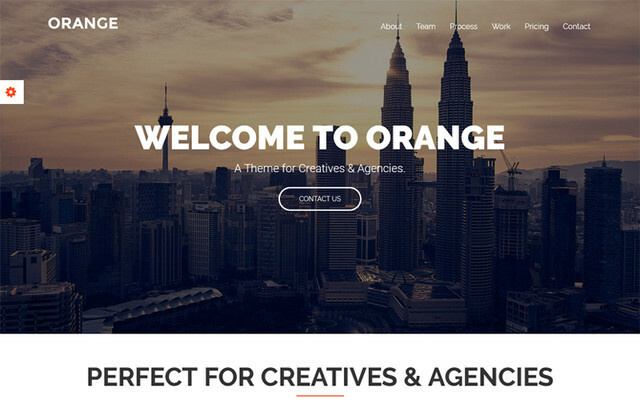 By means of this multipurpose HTML theme, you can establish a professional and sleek online presentation of digital production agency or web design studio. 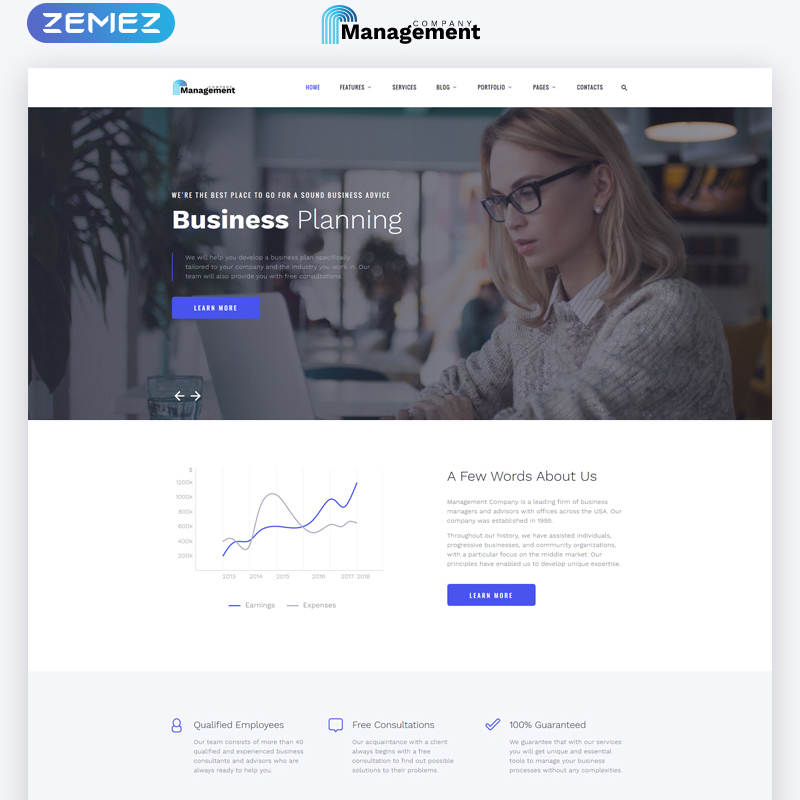 A clean and modern-looking layout of the theme is intended to deliver an eye-catching presentation to your official web page. 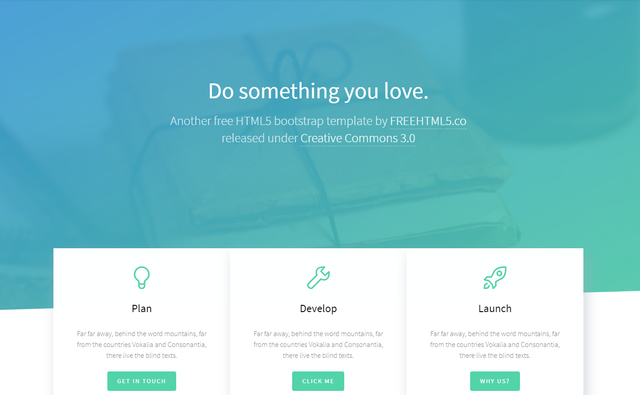 There are 3 homepage layouts and a huge set of UI elements available in the download package. You can also make use of Megafooter, working contact and newsletter subscription forms, as well as multiple header and footer layouts. Add an appetizing presentation to cafe, restaurant or any other food-related web project using this usable web theme. It makes use of page-width sliders and Retina-ready images that deliver an eye-catching presentation to the dishes from your menu. By means of an intuitive Visual Content Editor even a newbie webmaster will be able to customize the theme according to their preferences in the drag-and-drop mode. The theme is fully responsive and cross-browser compatible. It's also optimized for a speedy performance in all web environments. 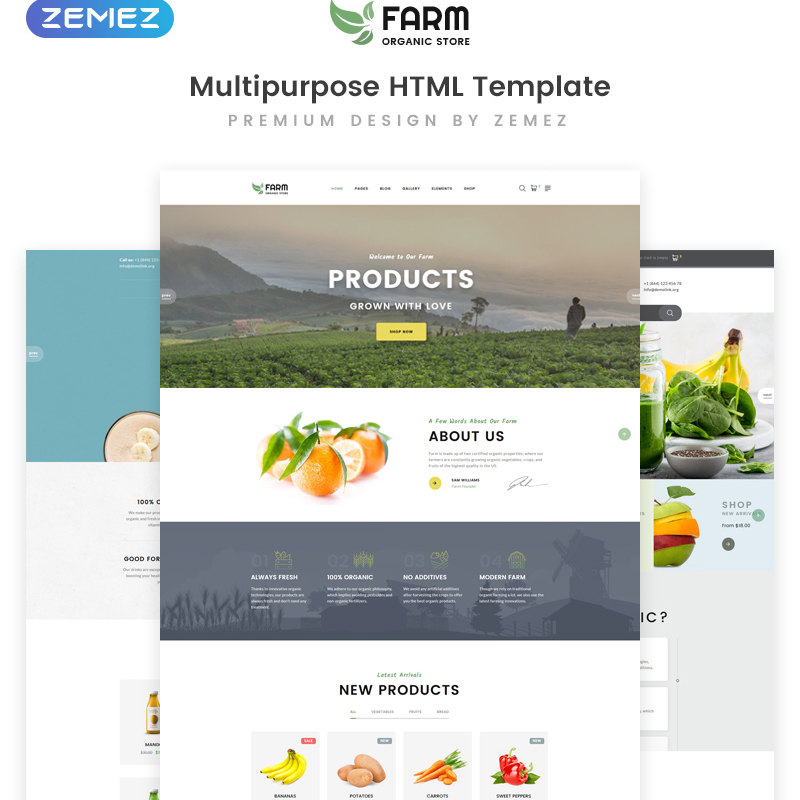 Your farming or agriculture website will have a usable and professional presentation if you use Ground website template as its foundation. 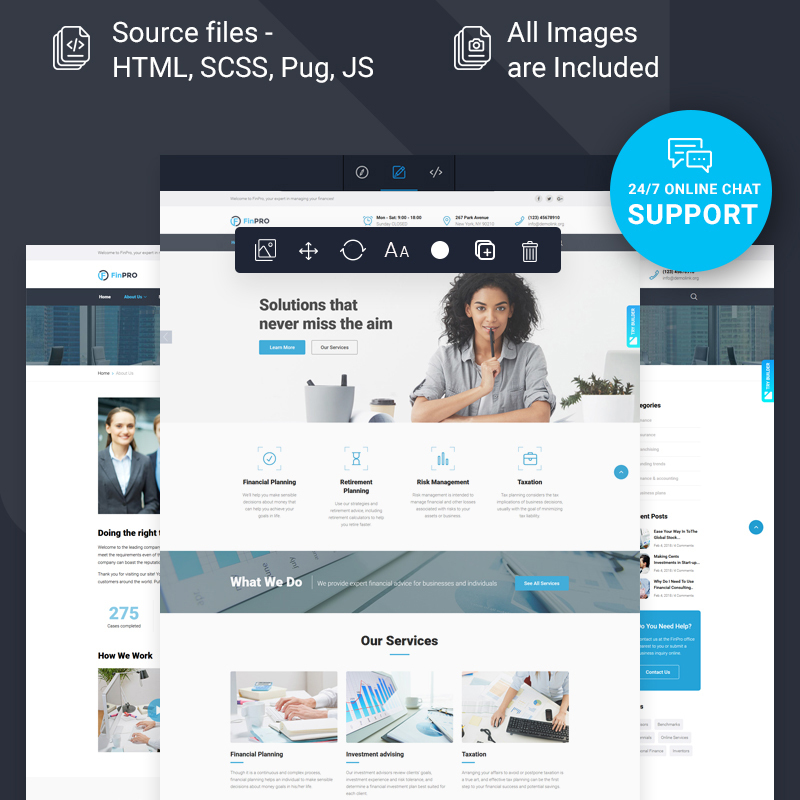 The theme is built with the valid code and includes HTML, SCSS, Pug, and JS source files in the download package. You can modify the theme's layout either by means of the modification of its source file or while simply working in the intuitive mode of Visual Content Editor. The choice of ready-to-go website templates is truly impressive. Today, you will find no difficulty with the launch of any topic-specific online project that you have on your mind. In order to let web users of all skill levels customize any chosen web theme on their own, the themes provide you with a possibility to apply all necessary changes in the visual drag-and-drop mode. We did our best to provide you with a wide choice of themes for different purposes. Are there web designs that you would like to use as the foundation for your personal or business site? What features do you expect such designs to offer?